In the midst of it- a thick jungle, a world so away from civilization- there lies this scenic waterfall called the Kudlu-theertha falls about 42km from Udupi in the coastal state of Karnataka, India. It lies in a very small town called Hebri, en route from Udupi to Agumbe. Lying at the foot of the Western Ghats of India, this place is splendid with evergreen forests and beautiful landscape. 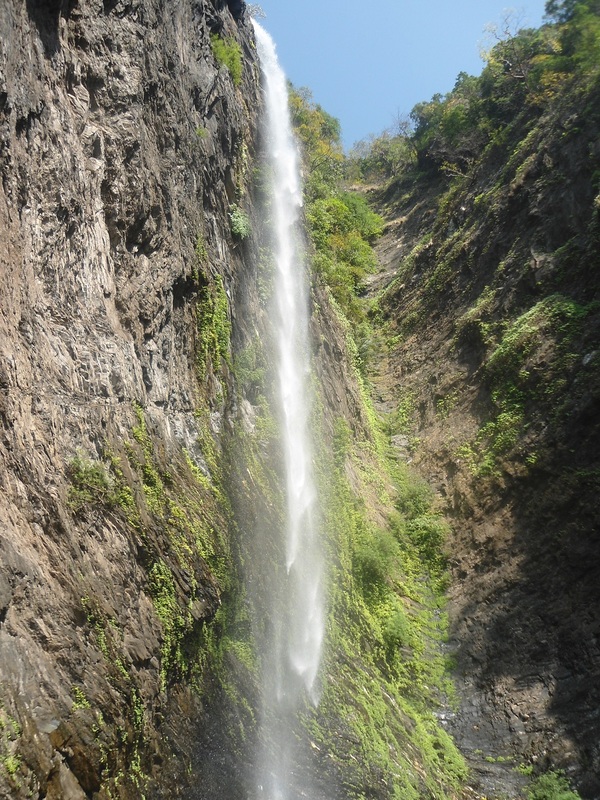 Somewhere buried deep inside this Ghats section was this majestic 300ft waterfall. Well, personally I fancy walking through the jungles – just wishing to get lost and wander- and finally heaving that sigh of satisfaction on reaching the culmination. This was a trip- a little different. I will tell you why in a while. My friends and I hired a private vehicle from the town of Hebri and drove till we ran out of the motor-able section of the road. 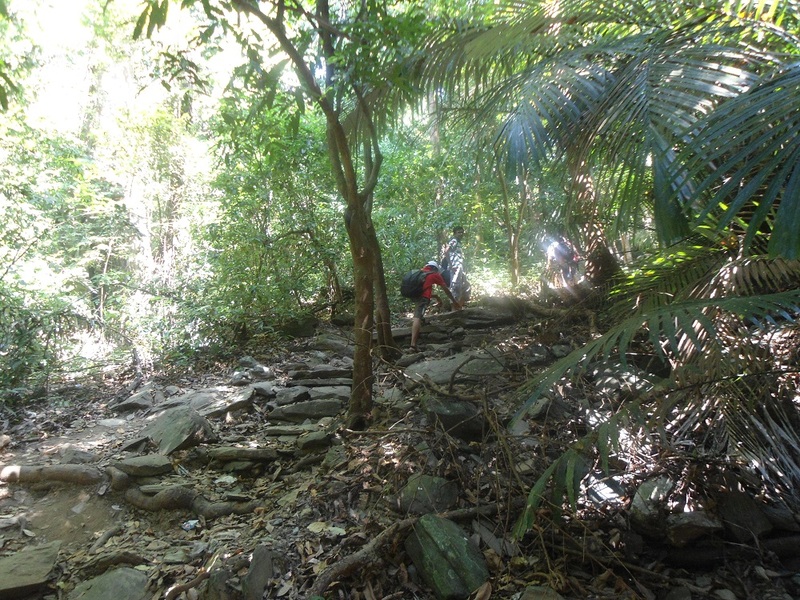 Having been forced out of the vehicle, we started our walk across muddy trails towards the falls. 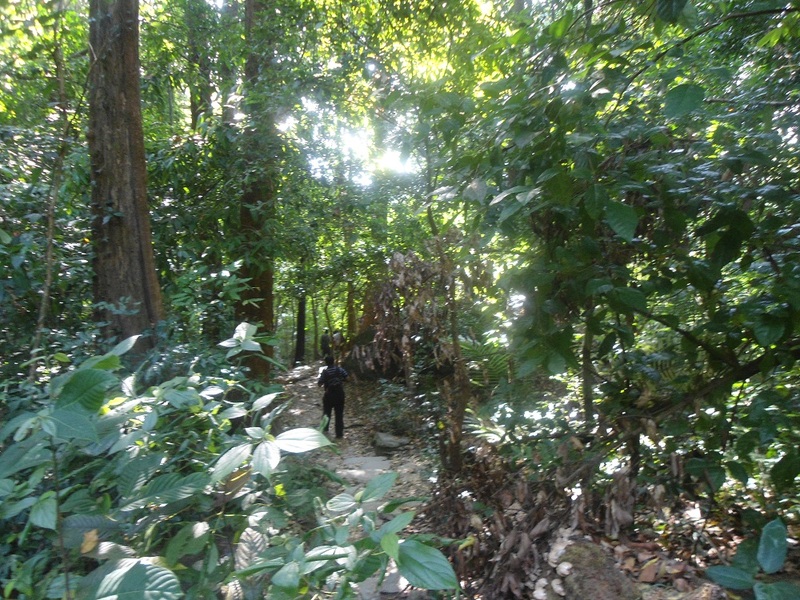 Leading up, crossing a couple of streams it was mostly a way through the jungle- thick bushes, tall trees with almost minimal sunlight penetrating, birds that kept up with their chirping and somewhere close by was the waterfall bellowing. Almost 4-5 km from the area where we had parked our vehicle- negotiating rocks, fallen logs and loose soil, we made it to the falls. The walk to the falls. The majestic falls that just dropped from the top. What followed were some insane moments at the base of the waterfall. The water was ice-cold. The weather being hot, it came as relief to take a dip in the water and get the feel of water thumping from more than 300feet above. It was short lived though as we had to hop in and out of the water on a regular basis to avoid getting hypothermia. Swimming across, diving into the waters, climbing the slippery rocks or taking shelter at the caves below- all were undeniably moments to relish. 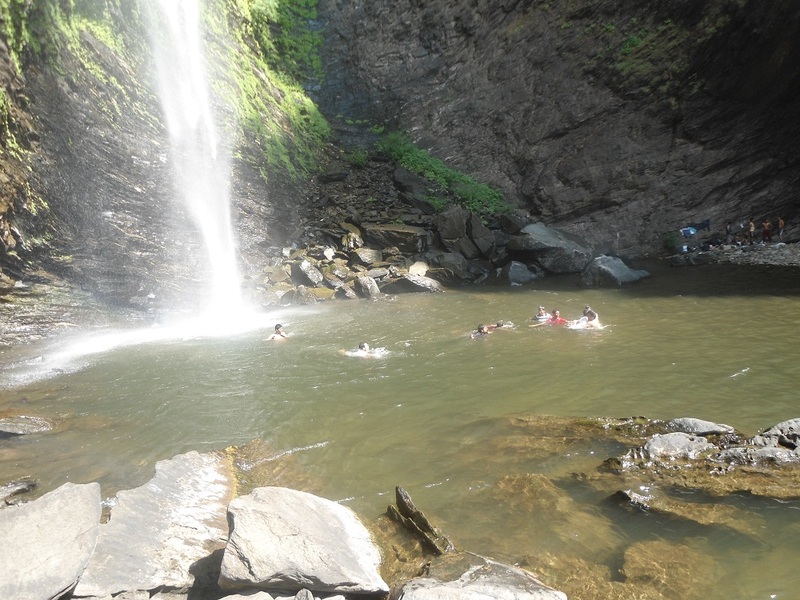 If you ask me, well I recommend going there in the months of September to February as there will be infestation of leaches during the monsoon season and during the months of march leading to the onset of monsoon, the falls become a little too weak taking the fun out of the equation. I told it was a little different somewhere when I started narrating, didn’t I? It was because there was a chance to get lost –my longing – but somehow of the two diverging trails, we took the wildest guess on right track on the way to the falls which was in fact the left one. The one on the right which was the wrong one would have had you wandering in the forests for at least a day or two unless you turn back. So if you are not my type, take the left one which is the right one of course. Sorry if your head is wobbling a bit and in the brink of falling down. Wow, looking forward to go there..How far is it from Bangalore? Hey, I think this place is about 450km from Bangalore. Best time to visit this place is sometime during October to February I reckon. I know we did. A brilliant weekend it was indeed.